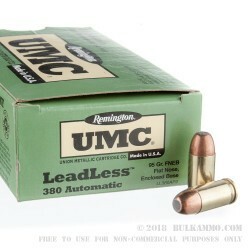 This box of leadless 380 ACP ammunition is a very nice range round, and works well in many firearms, including some of the difficult to feed handguns that give shooters problems with feeding, extraction and stove piping. The load will still have a few guns that don’t LOVE it, but for the most part it’s a very capable load across a wide swath of the smaller .380 Autos that are on the market. 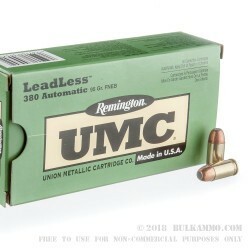 The leadless moniker refers to the flat nosed fully enclosed base (FNEB as Remington calls it) and the primer, which lacks lead. 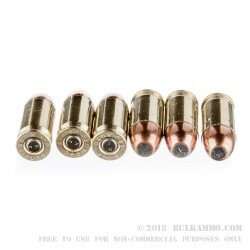 The enclosed base projectile is a 95 grain bullet that keeps the back of the bullet (usually exposed lead) from coming in contact with hot gases and burning powder which will significantly reduce the potential for lead burn-off and airborne particulate matter (of the lead variety). Furthermore, the leadless primer reduces shooter exposure to lead as well. Typical primers ignite and give off lead particulate (most of it is expelled forward out of the barrel), which a part of, can get left on the casing causing additional shooter exposure to lead. This ammo doesn’t have that problem. 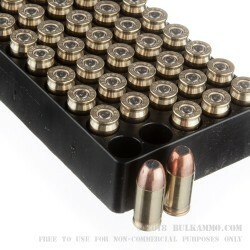 Brass case; boxer primer; and a great deal on range quality .380 ACP ammunition.